If you churn, exit trades too soon, hold losers, trade bad instruments and more. If you are better trading long, short, daytrading or swing trading. 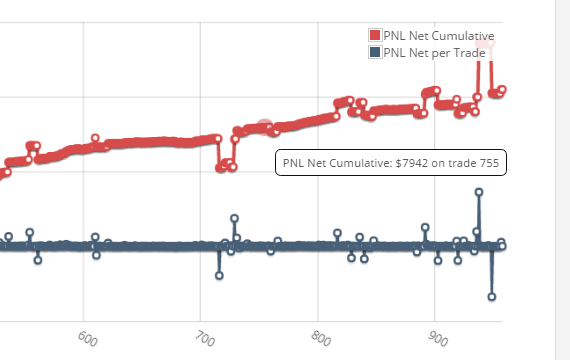 What statistically works, so you take data driven decisions and trade with confidence. Daily trading habits that can ruin your trading career. Tracking equity growth by date, time, instruments and more. Intraday events exclusively for daytraders. 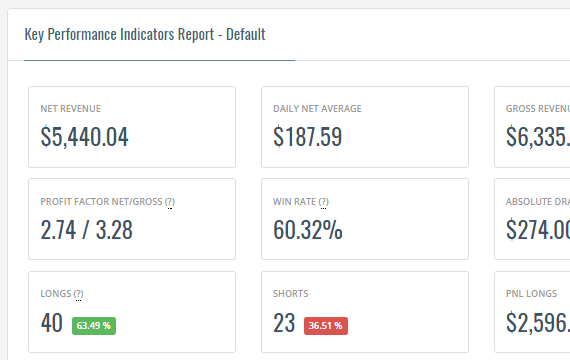 Longs, shorts, wins, losses, you name it, we track them. Best times to trade, best market conditions, best instruments, best strategies. 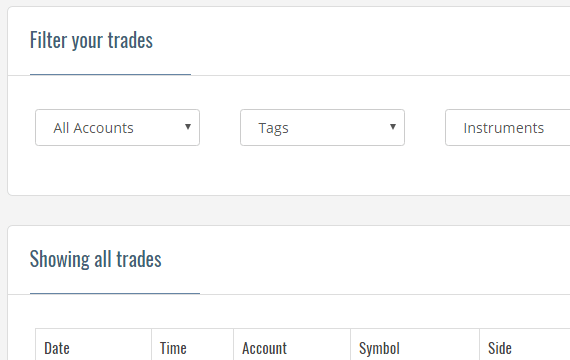 Don't you hate logging in to 4 different brokers to track your pnl? Our system consolidates all your portfolio positions in a single screen. 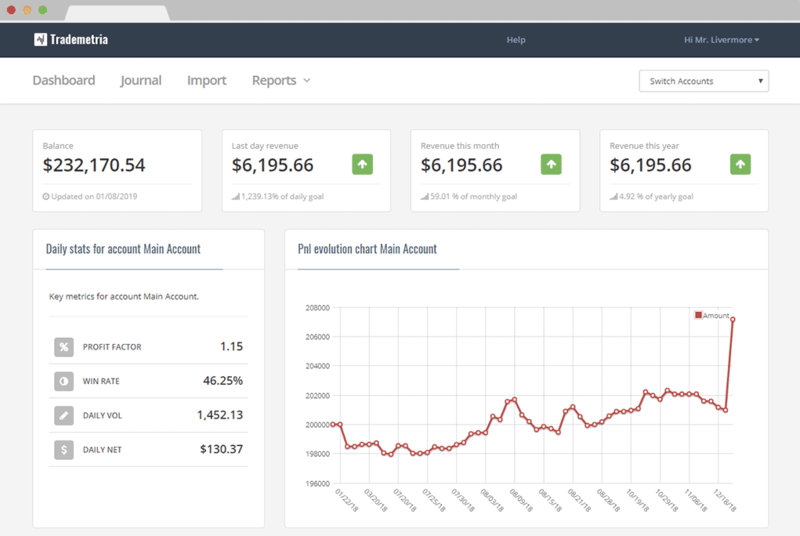 Set account goals, add your own commissions, custom fees, adjustments and have full control of your trading business. Trading journal suitable for stocks, futures, options, forex and crypto traders. It can work with any exchange depending on how your data is entered. Visit our help page for a full list of supported instruments. A trading journal is probably the most important, and most often neglected, tool in determining your success or failure in the market. As a professional trader and managing partner of a trading firm, I cannot take you seriously as a trader if you do not journal. To me this would be like a football player not lifting weights. A trading journal keeps you constructive, keeps you learning, and keeps you working on the things that are most important. It is not a tool for simply rehashing the day; it is a tool for self-development. Anyone who has lost money by investing poorly knows how difficult it is to re-examine what occurred. The examination of a losing trade is tortuous but necessary to ensure that it will not happen again. Successful traders know that a consistent and systematic review of their daily trading activities is the direct path to growing and improving. Make a trading journal your first trading habit. It will become the key to all your good trades in the future. 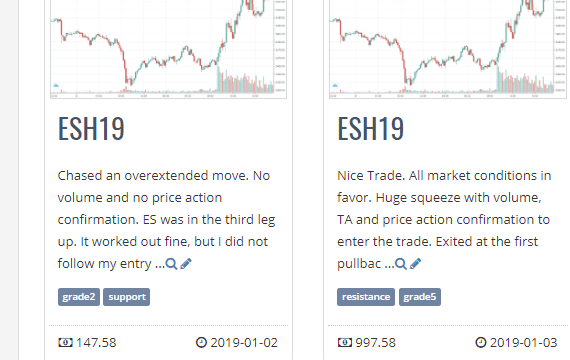 Don't miss out on what thousands of traders are using every day to improve their trading results.